Located on beautiful Betsie Bay in Frankfort, Bayview Grille has earned its reputation as a popular destination for great made-from-scratch home-style food and Michigan-made beers and wine. Located in the building that once housed Celia’s by the Bay, Bayview Grille is the pride and joy of Dale Evans and Jill Weide, both Michigan natives who, after spending 20 years in the hustle and bustle of Washington, DC, returned to their home state to seek a more relaxed and friendly lifestyle. Since opening Bayview Grille in 2010, Dale, Jill and their staff have been learning how to best deliver their creations to their increasingly loyal customers. Both great amateur cooks, Dale and Jill were new to the food business. “Our customers and staff were great, and helped us develop our signature service, which emphasizes customer comfort and great food. 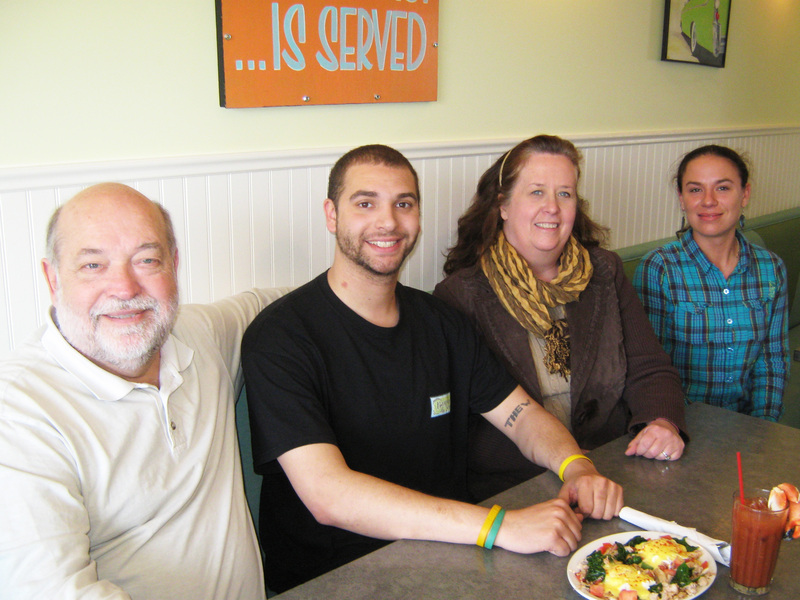 Everyone who dines with us enjoys the fruits of the lessons we’ve learned,” Dale says. During its first three years in the community, Bayview offered breakfast, lunch and dinner year-round. Now both Dale and Jill have decided to scale back their work hours so they have more time to enjoy northern Michigan. Starting this May, Bayview is open 7am to 4pm, focusing on breakfast and lunch. Also getting a fresh look will be Bayview’s cocktail, beer, and wine menu. “It’s been a bit of a secret that we have a liquor license, but those who know are definitely enjoying our offerings,” says Jill. A variation of their popular Bayview Bloody Mary, the “Crabby Mary” will feature a full crab claw as a garnish. “The claw is full of sweet meat, and it goes deliciously with our Bloody Mary. We think it will be a hit!” Jill says. And not to worry, Bayview will continue to offer a range of craft beers, Michigan wines, Spanish Sangria, Bud Light, and traditional mixed drinks. “If you enjoy it, we will do our best to provide it,” says Jill. Bayview Grille, 727 Main Street, Frankfort, (231) 352-8050. Open 7 days, 7 am to 4 pm.